Wow, it's already April; I cannot believe it - it seemed like I had so much time before Easter arrived and now that time is quickly passing. I'm trying to build up inventory for a crafty fair in May I'd like to participate in but it's getting closer and closer and I'm not creating as fast as I would like. We'll see how the next few weeks go. 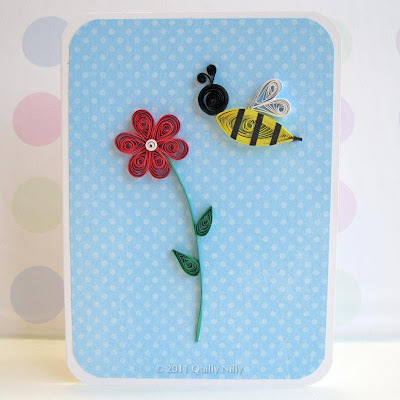 I did just finish working on a custom card order for 4 cards; one with a bee; two with crosses and one with a pink flamingo. 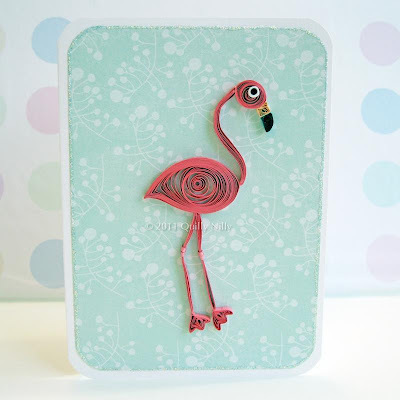 I have done bee's and crosses before but never a flamingo; how exciting to work on something new and let me tell you; I love how he turned out. 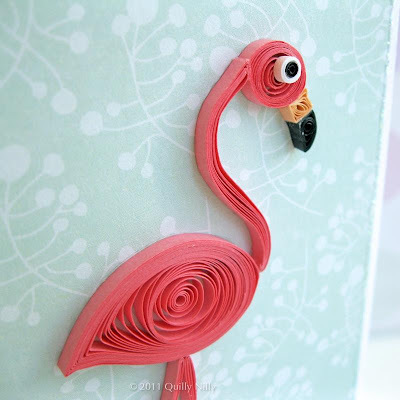 I will definitely be doing more with flamingoes. love all three of your cards, very nice, also like your 3D characters there so adorable! 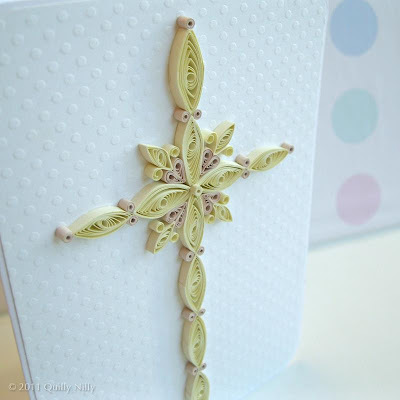 All of them are adorable, as usual, but I definitely need for you to make me a cross like that! Preferably one that I can put on a 5x7 frame. We'll talk colors! LOVE!!! 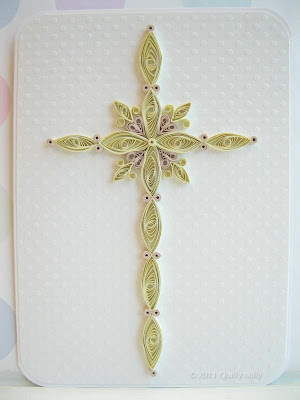 i love your quilling. and the flamingo is mind blowing!! I think the flamingo so beautiful! The flamingo definitely is a cutie! I love custom order challenges that open the doors to new ideas. Necessity is the greatest innovator afterall!